استانداردهای کیفی پساب‌ها نسبت به گذشته سختگیرانه‌تر شده و لذا نیاز به بهبود کیفیت خروجی فاضلاب‌های تصفیه شده روز به روز در حال افزایش است. از طرفی با افزایش فشار بر منابع آب سراسر جهان، لازم است بازیافت و استفاده مجدد از خروجی فاضلاب مورد توجه قرار گیرد. اخیراً بیوراکتورهای غشایی که از محبوبیت و توجه زیادی برخورداراند به عنوان یک فناوری امیدبخش در تصفیه فاضلاب مطرح شده‌اند. در راستای بهبود کیفیت خروجی تصفیه‌خانه فاضلاب شهری شیراز، تصفیه فاضلاب شهری توسط تکنولوژی بیوراکتور غشایی در مقیاس پایلوت میدانی در تصفیه‌خانه فاضلاب شهری شیراز به مدت 9 ماه مورد مطالعه قرار گرفت. پایلوت ساخته شده در این تحقیق از یک راکتور هوادهی به حداکثر حجم مفید 230 لیتر و یک حوضچه غشایی به حجم 110 لیتر تشکیل شد و یک غشا به فرم الیاف توخالی درون حوضچه غشایی استفاده شد. 7 زمان ماند هیدرولیکی متفاوت هوادهی از 2 تا 12 ساعت بر روی این پایلوت مورد آزمایش قرار گرفت و عملکرد سیستم در حذف مواد آلی، نیتروژن آمونیاکی، مواد معلق و کدورت و همچنین ظرفیت غشاء بررسی شد. بازدهی سیستم در حذف مواد آلی در تمام دوره به جز زمان ماند هیدرولیکی 2 ساعت کاملاً پایدار و ثابت بود. به‌طوری که کاهش COD و BOD به ترتیب به بیش از 95 و 99 درصد رسید. نیتریفیکاسیون به‌طور کامل انجام شد و در تمام دوره به‌جز زمان ماند هیدرولیکی 2 ساعت پایدار و ثابت بود. غلظت مواد معلق خروجی سیستم تقریباً برابر صفر و میزان کدورت کمتر از NTU 1 به‌دست آمد. همچنین بررسی ظرفیت غشا نشان داد که فلاکس متوسط Lm-2 h-1 5/5 در خلا متوسط 3/0 اتمسفر قابل دستیابی است. نتایج نشان داد که عملکرد سیستم بیوراکتور غشایی مورد مطالعه در تصفیه فاضلاب شهری شیراز در مقایسه با سایر سیستم‌های تصفیه فاضلاب شهری رایج خیلی بالاتر بود و بازدهی سیستم تحت تأثیر زمان ماندهای هیدرولیکی 3 تا 12 ساعت راکتور هوادهی نبود. بنابراین با توجه به کیفیتی که پساب خروجی این سیستم دارد به طور یقین می‌تواند جهت مصارف بسیار زیادی در صنعت و کشاورزی مورد استفاده قرار گیرد. American Public Health Association (APHA), American Water Works Association (AWWA), & Water Environment Federation (WEF), 2005, Standard methods for the examination of water and wastewater, Washington, DC. Atasoy, E., Murat, S., Baban, A. & Tiris, M., 2007, "Membrane bioreactor (MBR) treatment of segregated household wastewater for reuse", Clean, 35(5), 465-472. Cao, J. H., Cao, B.-K., Lu, H. & Xu, Y.-Y., 2005, "Study on polypropylene hollow fiber based recirculated membrane bioreactor for treatment of municipal wastewater", Desalination, 183, 431-438. Chae, S. R., Kang, S. T., Lee, S. M., Lee, E. S., Oh, S. E., Watanabe, Y. & Shin, H. S., 2007, "High reuse potential of effluent from an innovative vertical submerged membrane bioreactor treating municipal wastewater", Desalination, 202, 83-89. Chiemchaisri , C. & Yamamoto, K., 1994, "Performance of membrane separation bioreactor at various temperatures for domestic wastewater treatment", Journal of Membrane Science, 87, 119-129. Davies, W. J., Le, M. S. & Health, C. R., 1998, "Intensiﬁed activated sludge process with submerged membrane microﬁltration", Water Science and Technology, 38 (4-5), 421-428. Dialynas, E. & Diamadopoulos, E., 2009, "Integration of a membrane bioreactor coupled with reverse osmosis for advanced treatment of municipal wastewater", Desalination, 238, 302-311. Gao, D.-W., Tao, Y. & An, R., 2012, "Digested sewage treatment using membrane-based process at different hydraulic", Desalination, 286, 187-192. Hach Company, 2005, DR5000 spectrophotometer: Procedures manual, 2nd Ed., Germany. Hemmati, A., Maghami Dolatabad, M., Naeimpoor, F., Pak, A. & Mohammdi, T., 2012, "Effect of hydraulic retention time and temperature on submerged membrane bioreactor (SMBR) performance", Korean Journal of Chemical Engineering, 29(3), 369-376. Holler, S. & Trosch, W., 2001, "Treatment of urban wastewater in a membrane bioreactor at high organic loading rates", Journal of Biotechnology, 92, 95-101. Jadhao, R. K., & Dawande, S. D., 2013, "Effect of hydraulic retention time and sludge retention time on performance of membrane bioreactor for wet season", International Journal of Chemical and Physical Sciences, 2(3), 3, 1-11. Judd, S. & Judd, C., 2006, The MBR book: Principles and applications of membrane bioreactors for water and wastewater treatment, Oxford: Elsevier. Lyko, S., Wintgens, T., Al-Halbouni, D., Baumgarten, S., Tacke, D., Drensla, K. & Melin, T., 2008, "Long-term monitoring of a full-scale municipal membrane bioreactor—characterisation of foulants and operational performance", Journal of Membrane Science, 317, 78-87. Mohammed, T. A., Birima, A. H., Noor, M. J. M. M., Muyibi, S. A. & Idris, A., 2008, "Evaluation of using membrane bioreactor for treating municipal wastewater at different operating conditions", Desalination, 221, 502-510. Merz, C., Scheumann, R., Hamouri, B. E. & Kraume, M., 2007, "Membrane bioreactor technology for the treatment of greywater from a sports and leisure club", Desalination, 215, 37-43. 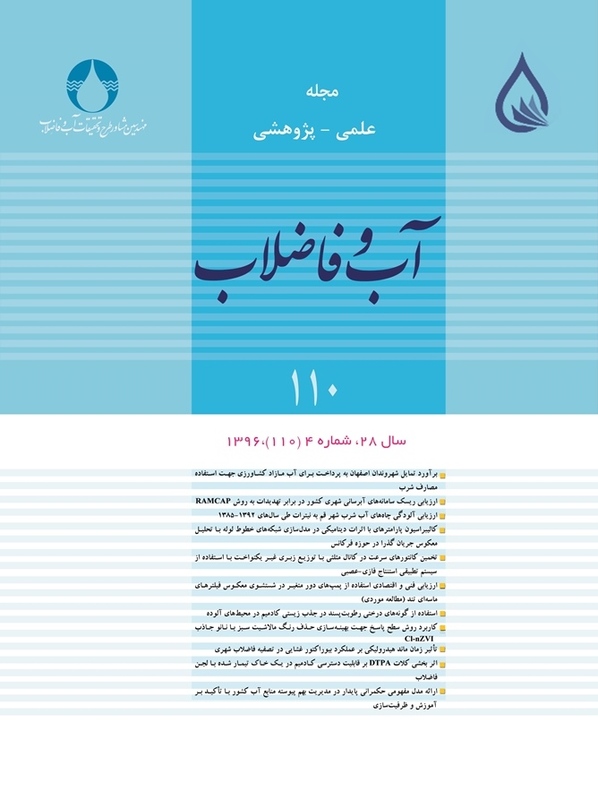 Naghizadeh, A., Mahvi, A. H., Mesdaghinia, A. R. & Alimohammadi, M., 2011, "Application of MBR technology in municipal wastewater treatment", Arabian Journal of Sciences & Engineering, 36, 3-10. Rosenberger, S., Kruger, U., Witzig, R., Manz, W., Szewzyk, U. & Kraume, M., 2002, "Performance of a bioreactor with submerged membranes for aerobic treatment of municipal wastewater", Water Research, 36, 413-420. Tchobanoglous, G. & Burton, F.L., 2003, Wastewater engineering: Treatment and reuse, 4th Ed., Metcalf & Eddy, McGraw-Hill, Inc., NY. Water Environment Federation (WEF), 2006, Membrane systems for wastewater treatment, WEF Press McGraw-Hill, New York. Wen, X., Ding, H., Huang, X. & Liu, R., 2004, "Treatment of hospital wastewater using a submerged membrane bioreactor", Process Biochemistry, 39, 1427-1431. Xia, S., Guo, J. & Wang, R., 2008, "Performance of a pilot scale submerged membrane bioreactor (MBR) in treating bathing waste water", Bioresour Technology, 99, 6834-6843. Xing, C.-H., Qian, Y., Wen, X.-H., Wu, W.-Z. & Sun, D., 2001, "Physical and biological characteristics of a tangential-flow MBR for municipal wastewater treatment", Journal of Membran Science, 191, 31-42. Xu, S., Wub, D. & Zhiqiang Hua, Z., 2014, "Impact of hydraulic retention time on organic and nutrient removal in a membrane coupled sequencing batch reactor", Water Research, 55, 12-20.